Meet Hubert and George the beardy friends created by illustrator Phil Jones. 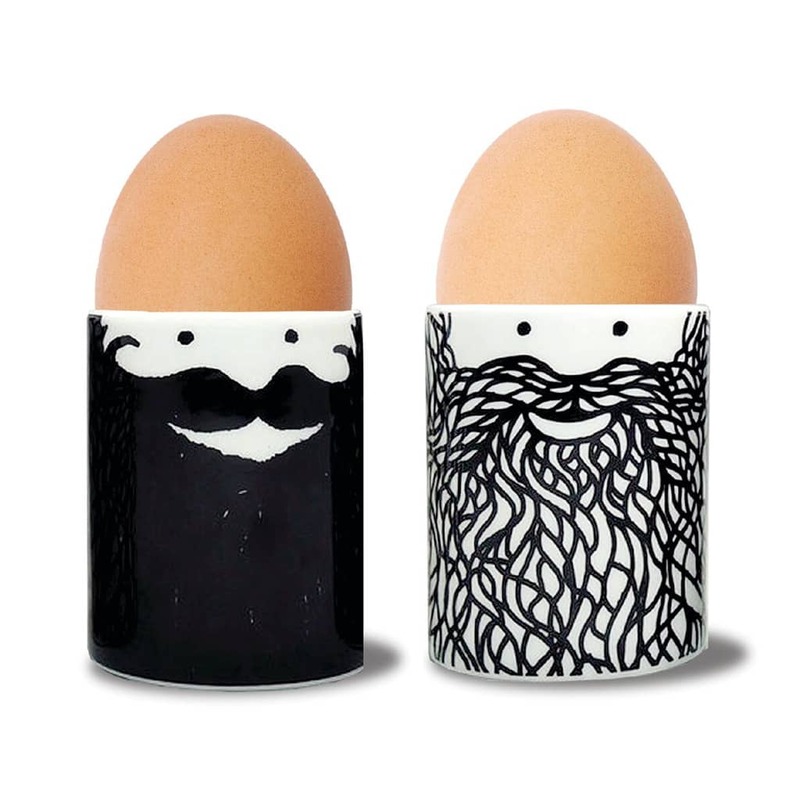 Whether you like your eggs dippy or hard-boiled this pair of ceramic egg cups are perfect for anyone with love of the beard. Available as a pair (one 'solid black' beard and one 'wiggly lines' beard.